Kuryakyn have added a flamin’ new style to their comfortable switchblade peg. The flip-out heel rest makes a huge difference on those long rides. 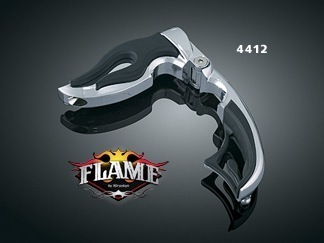 The Flamin’ Switchblade makes a great addition to the Flamin’ Pegs and ISO-Flame Grips.